For those of you who’re expecting a nice adventure it is better not even try the game. 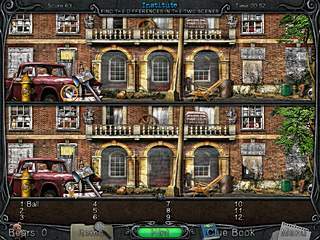 The Institute is a pure hidden object game with rare puzzles between the HOG scenes. Though the plot is really intriguing at the beginning the lack of interactions will not give you any chance to enjoy it. All the information will be received through the documents, photos and notes (some of them made with the help of the blood or… just red ink) etc that you’ll find in the HOG scenes. The absence of animation is obvious from the introduction part. Instead of the acting heroes that usually tell you the story you’ll see a kind of comics with Becky starring. But to tell honestly it’s not at all as bad as it may sound. The graphics are cute but a bit of gloomy. On the other hand you’re messed up in a story with two people missing, so you must not be expecting vivid colors and funny sounds. As for the music it is not at all unique or catchy. But I really liked the idea of a heart beat that accompanies the loading of every new scene. Have you heard that the heart beat is the most calming sound for every person? It is caused by the fact that being a germ we listen to mom’s heart beat for the first nine month of our life… But listening to this sound in the game creates the feeling of suspense in the best traditions of Sir Alfred Joseph Hitchcock. 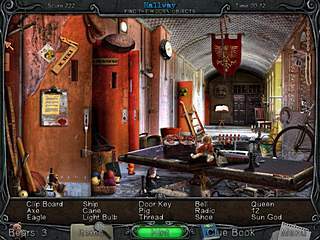 The Institute reminds Becky Brogan: Mystery of Meane Manor a lot - the sequel definitely has an old-school feel to hidden object genre. Have you ever dreamt of being a detective? It’s not only about examinations and pursuits. At’s more about analytics and evidences’ searching. 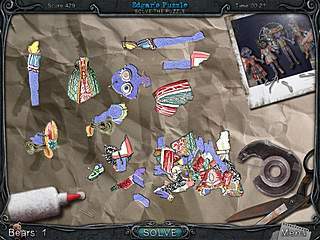 So hidden object game is a reasonable first step. And The Institute - A Becky Brogan Adventure is a nice option. In celebration of your butfaieul works of art, I have an award for you on my blog. I recognize that this is a display blog for your lovely photos and wouldn't think of imposing upon you to break the clean lines with the award post. Just wanted you to know that you had a fan -- please feel free to post the award anywhere you'd like -- even on the fridge! ;) Love the pictures . . . This is The Institute - A Becky Brogan Adventure review. Download this game here.